Paperback; 312 pages. Best Seller! 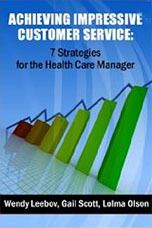 Seven powerful strategies critical to effective service management. Easy-to-use tools for hiring for customer service, removing barriers, soliciting customer feedback, installing standards, scripts and protocols, and much more.